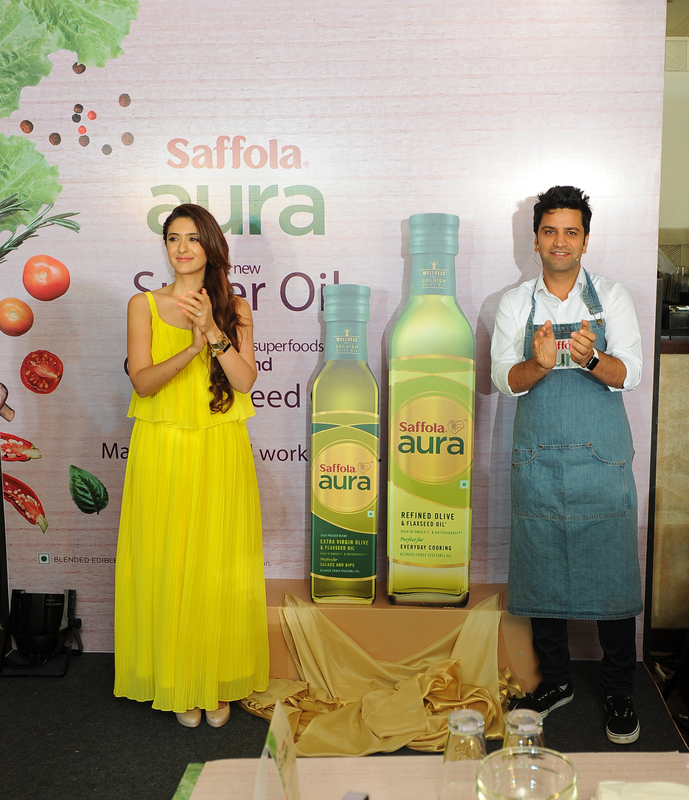 The new Super Oil – Saffola Aura, was launched at a bloggers’ meet event at Smoke House Deli with celebrity chef Kunal Kapur and celebrity nutritionist Pooja Makhija. A never seen before creation, Saffola Aura is a unique oil that blends two trending super foods – Olive Oil and Flaxseed Oil – for the first time ever. Now, this one Oil gives you the benefits of both Omega-3 and powerful anti-oxidants that help renew your body cells every day. 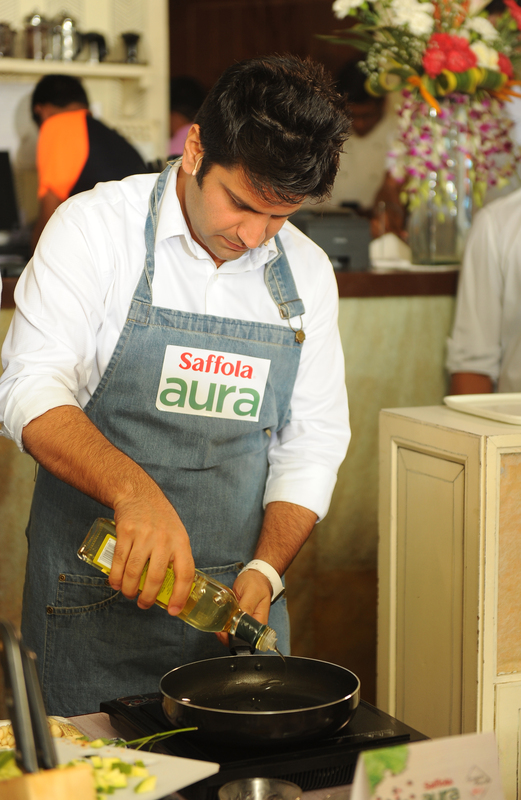 The Oil was launched at an exclusive event at Smoke House Deli, BKC in Mumbai where chef Kunal and nutritionist Pooja chatted with selected bloggers about how Saffola Aura is the perfect wellness choice for today’s lifestyle. Whether you are preparing a wholesome salad or a bowl of yummy pasta, you can detoxify and renew yourself with every meal. The event also saw a cook-off challenge between the bloggers, where they had to showcase their talent using the new Super Oil. 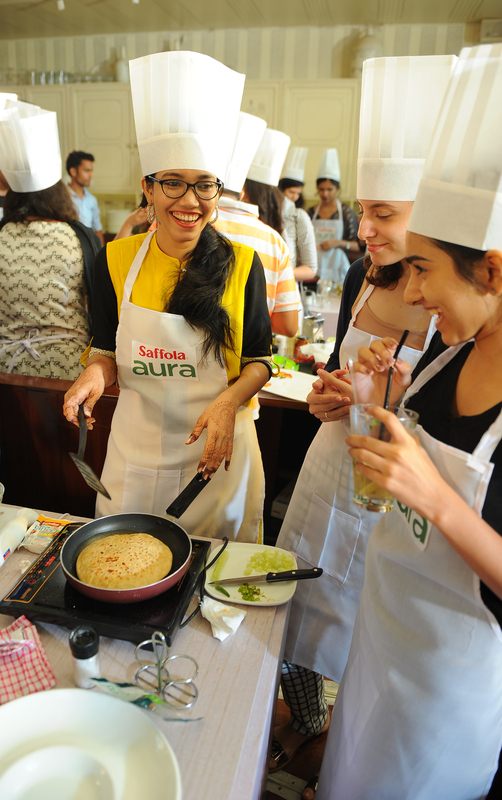 Our team was numbered 6 and the four of us made a Paneer Parantha from the mentioned ingredients in the cue card. It was an amazing experience and the Chef and bloggers alike, thoroughly enjoyed the parantha and praised us for the same. 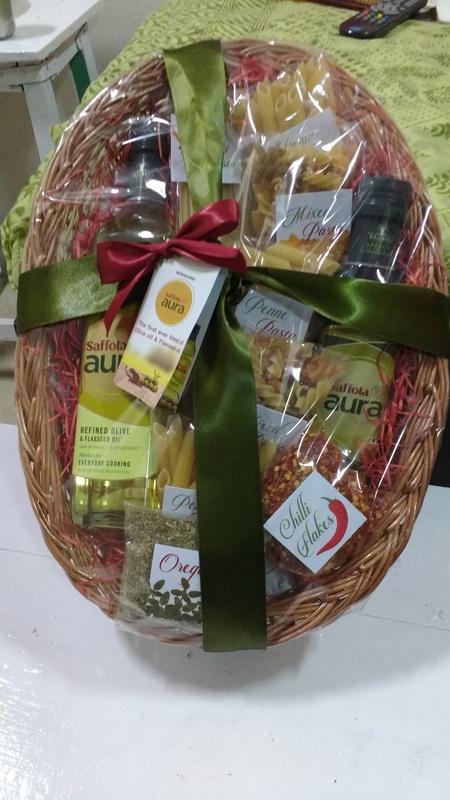 The Saffola Aura Hamper I recd at the event. Finally, the evening ended with a delicious dinner, shared between the winners of the cook off, Kunal and Pooja, where they discussed how making mindful life-choices like using Saffola Aura can add to your wellness in many ways.